To put the dish together, first slice the raw salmon as thinly as possible and lay them out flat on a plate. Mix all of the liquid ingredients together for the marinade, toast the sesame seeds and then add them to your marinade, along with the chopped chives. Grab a small bunch of baby watercress leaves and place them on too of the raw salmon. 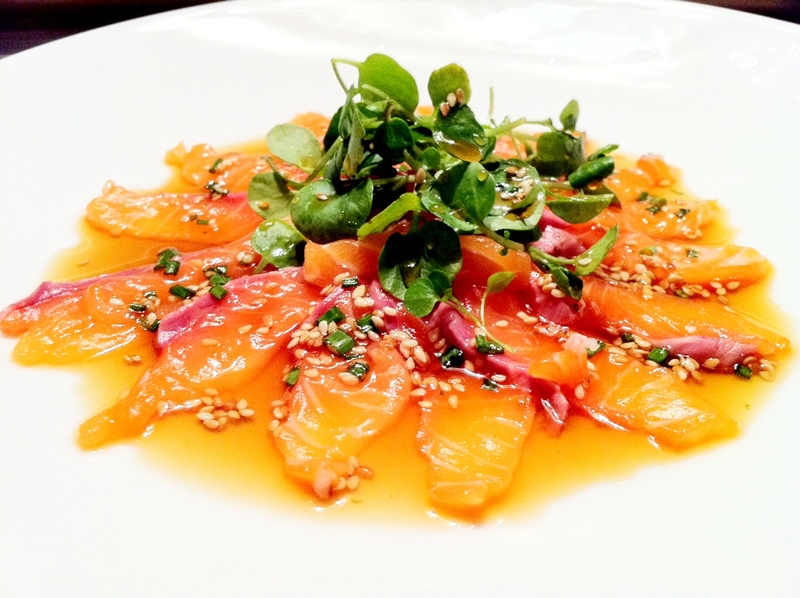 Drizzle a generous amount of sesame and ponzu marinade all over your fish, and allow your salmon carpaccio to sit in the marinade (in a cool place but not in the fridge) for at least 10 minutes before eating.